The Haryana Police had to face petrol bombs as it moved JCBs and earth movers at Satlok Ahsram in Haryana to arrest controversial self-styled 'godman' Rampal as per the orders of the Punjab and Haryana High Court. The self-styledgodman had failed to appear before the court with his lawyer taking the plea that Rampal was ill. However, the Division Bench ordered that Haryana and Punjab, the Union government and the Chandigarh Administration file a statement detailing the expenses incurred in making security arrangements for Rampal's court appearance. 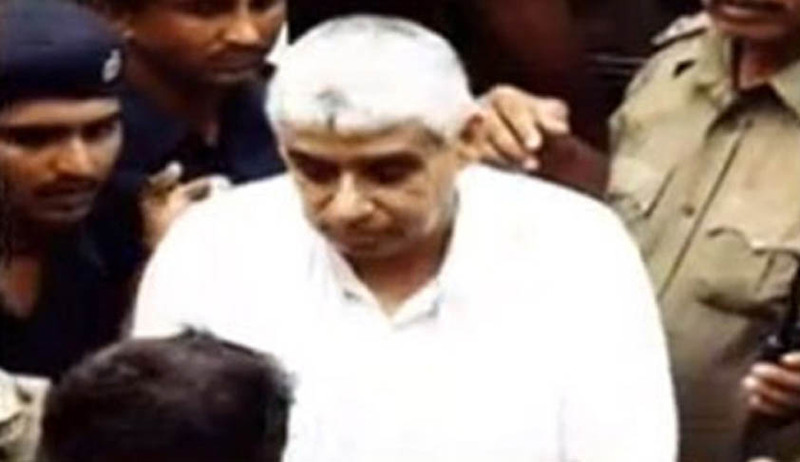 It also issued a non-bailable warrant against Rampal. Justices M Jeyapaul and Darshan Singh also directed Director General of Police and Home Secretary of Haryana to remain present in the court at the next hearing, which is on November 21. Meanwhile, as per reports, Rampalhas been moved to an undisclosed location for treatment. His supporters in order to prevent police from entering the ashram have set fire to furniture, near the gate of the Ashram. The police has also used tear gas to disperse the large crowd. ML Kaushik, Hisar District Magistrate has issued an order asking all the followers, including women and children, to disperse immediately.